If you want to see shock on the level of someone seeing one of the Saw movies for the first time, show a classroom of Japanese students an American sushi menu. Mango! Cream cheese! Asparagus! We’ve taken a cuisine that usually consists of one or two ingredients and exotified it, sometimes even deep-frying entire rolls. 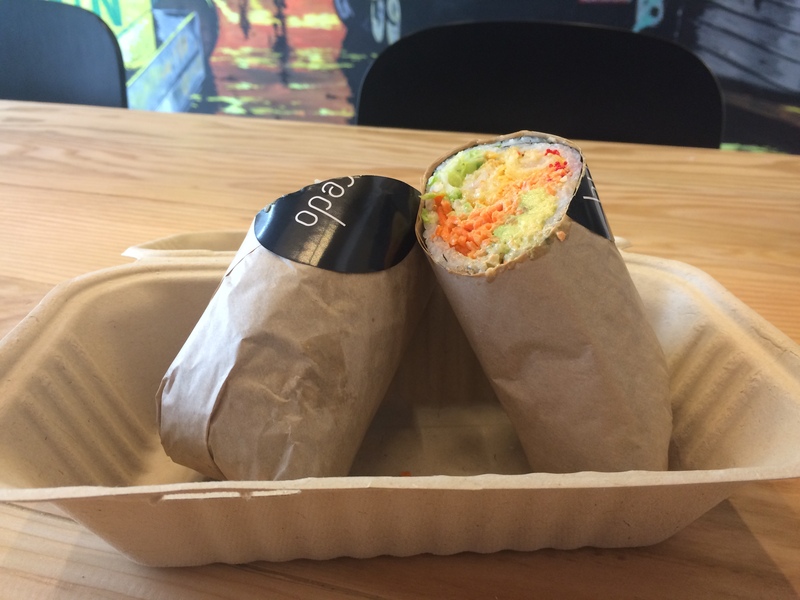 Now, consider introducing them to Buredo: downtown’s buzziest lunch pit stop that supersizes sushi rolls until they reach the size of small burritos. Perhaps there will be an eye roll or two, but after one bite, anyone is bound to be smitten. The Best Thing on the Menu: The Sofie brings together shrimp tempura, avocado, pickled cabbage, carrot, toasted sesame seeds, red tobiko and sriracha mayo for a sweet and spicy mouthful. Is it a little predictable to pick the one roll on the menu that contains both something fried and a liberal helping of mayo? Sure, but the truth’s the truth. If you want to swing a little healthier, we also love the Hanzo (yes, the samurai who was a serious badass). This hoagie-sized roll introduces pickled fennel and arugula to the sushi world. They’re joined by yellowfin tuna sashimi, avocado, cucumber, tempura crunch and a lemon aioli. Buredo is still tinkering with their offerings and hours given the fast casual restaurant is in its infancy stage (they opened July 2). But, the concept proved to be a winner (read: long lines) so they expanded their closing time from 4pm to 7pm. Maybe they realized they planted a restaurant in a city full of workaholics who leave the office at 6pm and are eager to grab a quick dinner before going home to work some more, this time on laptops. The Sofie not your BTM? Share your favorites in the comments section. 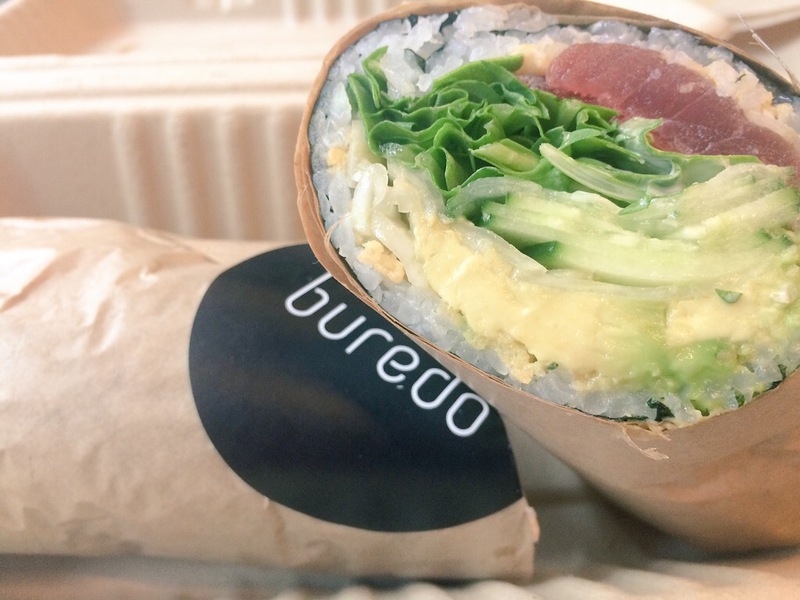 Find Buredo at 825 14th Street NW. This entry was posted in Restaurants and tagged Buredo, Downtown, New Restaurant, Sushi. Bookmark the permalink.